We here at goop are happy to announce the arrival of GP’s fourth cookbook, It’s All Pills, her first co-authored with medical doctor (we swear!) Alejandro Junger. This book marks the inevitable next step in the evolution of goop and, hopefully, your personal wellness journey. GP sat down with writer Sarah Spielberg (yes, of those Spielbergs) for a candid conversation about food, exercise and motherhood as it relates to food and exercise. Their conversation took place over the course of one day: it began in goop’s Santa Monica offices and ended in a dungeon beneath Tracy Anderson’s Los Angeles exercise studio. We here at goop HQ are well-acquainted with the recipes in the book, as we’ve all been test cases I mean taste testers for each and every new concoction GP and Dr. Junger dreamed up in the laboratory I mean kitchen, so we can confirm this is a book that does feature things that provide nutrients. Read on to find out why GP thinks you should get your hands on this new cookbook—and throw out all her old ones. Sarah Spielberg: First of all, I have to say this office is beautiful. Gwyneth Paltrow: Thank you! We wanted an open floor plan, but didn’t want to stick people in cubicles, so glass cages just seemed like the perfect solution. We even unlock them once a day to let the employees use the bathroom, which is made of 100% sustainable cotton and was imported from Tibet. SS: Oh, that would explain the monks trapped in the handicapped stall! So the cookbook comes out next week. Are you excited? Or relieved? GP: Both! I’ve been taking credit for Dr. Junger’s hard work on this book for the better part of the last year, so I’m relieved we’re finally done and excited for my followers I mean fans to finally try these “recipes” for themselves. SS: Dr. Junger has been working hard, and you’ve been talking about how hard it’s been to watch him work so hard for what seems like forever now. I’ve tried some of the “recipes” and I have to say they’re so simple. GP: That was our goal with this book: to simplify the process of feeding yourself and your family. Especially for working moms like me, it can be so hard to finish an entire one-hour workday and still manage to order your personal chef to get dinner on the table. I mean, I feel like I’m always running around between Pilates and yoga and yogalates and Tracy Anderson’s dance studio and my masseuse and my reiki practitioner and my secret place where I go every day to take some time for myself – I have no time left for myself! SS: Everyone who knows you spends so much time talking about how much time you spend talking about how busy you are. Yet here you are debuting anotherproject! GP: I’m a workaholic! It was so hard to balance this book, my kids and the two days I spent on a Hollywood set this year filming a brief cameo in the new “Avengers” movie. SS: Wow, and you’re so thin! GP: You’re so sweet! Actually, this new diet we outline in the book has helped me get down to my goal weight, which is what I weighed when I was 8-years-old. SS: So you mentioned the new diet outlined in the book. Can you tell us more about that? SS: What’s the great experiment? GP: Well, everyone who follows Dr. Junger’s work knows the worst possible thing you could ever do for your body is eat food. You see, the concept of food was actually created by Western medicine. As someone who’s been to every exclusive club in Hong Kong, I can confirm people in the East don’t eat food. So Dr. Junger’s thought was: how can we phase out harmful food, by which he means all food, in Western culture? And the answer is supplements. GP: Pills, powders, oils, dusts—anything you put in your mouth but don’t actually eat. But yes, in this cookbook, we’ve condensed most of them into pill form to keep swallowing, which is incredibly harmful to the mouth and throat, to a minimum. SS: That’s incredible! You’ve famously been a longtime practitioner of juice cleanses. Is there a cleanse aspect to this diet? GP: Absolutely not! I know I’ve been advocating detoxes and juice cleanses for years, but I’ve now come to understand that even the Master Cleanse provides calories, which are bad for digestion. SS: How long has it taken you to cut calories completely out of your diet? GP: If you’ve been following my wellness journey, you know it’s been a slow process. Over the years, Dr. Junger has gradually helped me reduce my food intake as he was introducing these supplements into my diet. We started at two pills a day and worked our way up from there until we phased out food entirely. SS: And now you’re taking about 60 a day, right? GP: Yes, 20 pills three times a day. SS: Wow. So can you explain to the readers—what exactly are the “recipes” in the book? GP: The book outlines different combinations of pills for different needs. 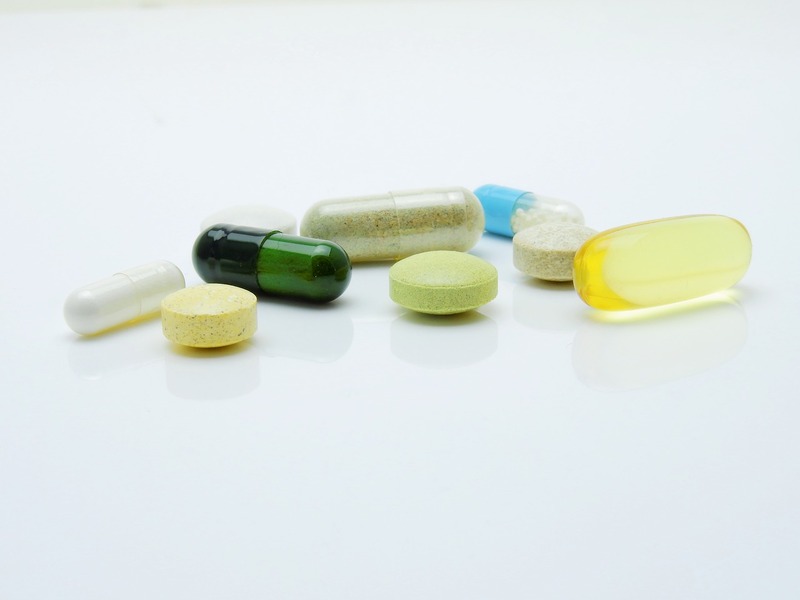 We also realize surviving on pills alone may not be realistic for some people, so we recommend some other, non-pill supplements people can take if they absolutely have to. SS: Can you give me an example? GP: Olive oil is a great example. SS: You’re telling me I can stick to this diet and still have olive oil? GP: Yes! You can take a tablespoon or two before bed. A good rule of thumb for something like olive oil is that it’s perfectly healthy as long as you don’t enjoy it. SS: That’s easy to remember. SS: So where do you recommend purchasing these supplements? GP: Actually, if you buy the book, you automatically get a lifetime supply of supplements for the bargain price of $10,000 a month which you can never cancel no matter how hard you try, but I recommend you never try because you will be punished. GP: We started the vitamin service on the goop site recently, so this is the logical next step in that process. Like I said, the whole point is to make it easier for people to be healthy. SS: Wow, you’re truly selfless. SS: Now, do you have any idea how to get out of this dungeon? GP: Tracy will let us out soon. She locks me down here whenever Beyoncé hasn’t been to her gym in a while to remind me that I’ve failed. Let’s go see if Kate Hudson’s here. She’s usually on the other side. SS: What’s she in for?